Elderberry Live Stakes For Sale - Low Prices Online Now! 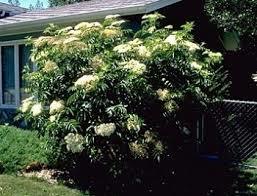 Elderberry Live Stakes are beautiful mature trees. Elderberry Live Stakes - Sambucus Nigra. Elderberry Live Stakes are for planting within wetlands. The shrub blooms through the summer and produces edible flowers and berries. 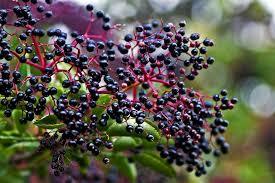 There are many different types of elderberry plants, but they all deliver equally useful flowers and berries. They all require full sun for successful growth and reach maturity around 10-20 feet tall and 10-20 feet wide depending on the variety. The plant spreads quickly and requires little maintenance once it reaches maturity, so it is excellent for those looking to fill space. Elderberry Live Stakes is used both for ornamental and culinary purposes. The Elderberry lives stakes come small, but as time goes on, they will grow into a gorgeous ornamental tree. This tree has many herbal and medicinal purposes as well. The berries are dark purple, close to black when they are ripe and ready to pick. They can be used in jams, jellies, preserves, syrup or to make the batter for cooking. Used in herbal remedies, it has been said to help with flu-like symptoms or allergies. Not only humans love these berries, but deer and birds enjoy them as well. It has smooth, gray bark. This shrub comes in a small size, but it won't take long to grow up to its size. The leaves and flowers can grow up to 6 inches across and are white. Many bunches of berries come in such large clumps it can weigh them down and pull the branches over. Elderberry Lives Stakes are ideal for gardens. This tree will grow more than 3 feet every year. They do well in well-drained, moist soil conditions. This tree is loved by many wildlife creatures including birds, squirrels, and deer. The deer will eat the leaves and berries in the fall months when they can't find anything else to eat as part of their daily nutrition. The elderberry berries are a great fruit to eat from wildlife animals and can provide them with lots of nutritious value.